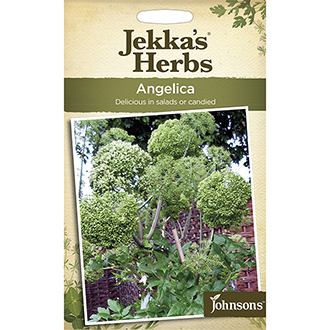 Herb Angelica archangelica. Jekka's herbs from Johnsons Seeds. Use young succulent leaves in salads. In the second year, young stalks can be candied and scented flowers appear. 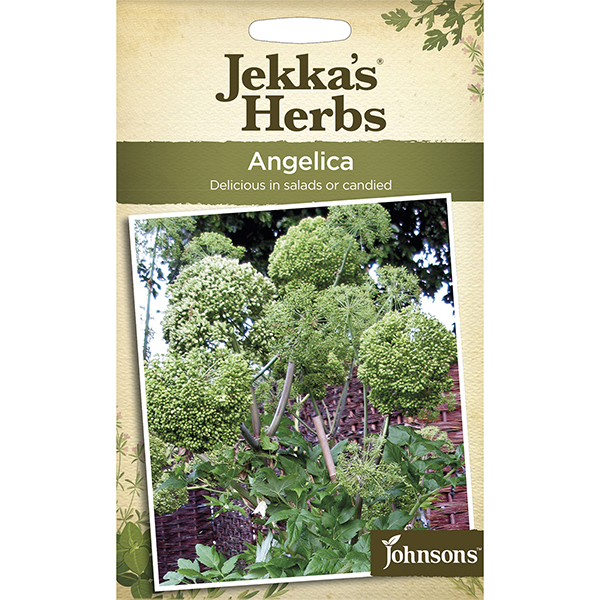 Herb Angelica is one of the most popular products from the Jekka's Herbs range.